Keep yourself or someone else warm with this beautiful shells crocheted blanket. You can create this winning crocheted blanket to keep it warm and comfortable this cold season. The pattern used in making this crocheted blanket is fun and easy to make once you get the hang of it. This works up quickly and will make a sweet gift for a baby or yourself. With this crocheted blanket’s intricate design, this will be a great crochet project for confident beginners or intermediate crocheters. The steps given in the crochet pattern are to make this blanket in one size only. However, if you have enough experience, you can alter the pattern to get that desired size. 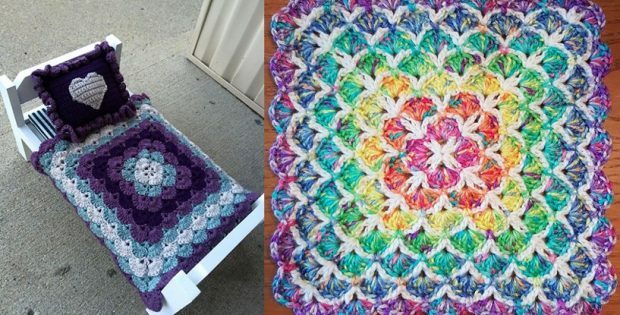 Lahoma Nally-Kaye made the design for this crocheted blanket in gorgeous shells design. You can download the FREE pattern of this comfy shells crocheted blanket for FREE and start knitting today. Featured image(s): Medic911 and SugarPurlYarns – thank you!